Dulse has been traditionally harvested for generations. Dulse is favoured as a salty snack in Donegal. Our SeaVeg wild Irish dulse can be eaten straight from the pack, but remove any holdfasts and check for lost shrimp. Irish Dulse is also great steamed over potatoes, or toasted or grilled till crisp and eaten as a snack. 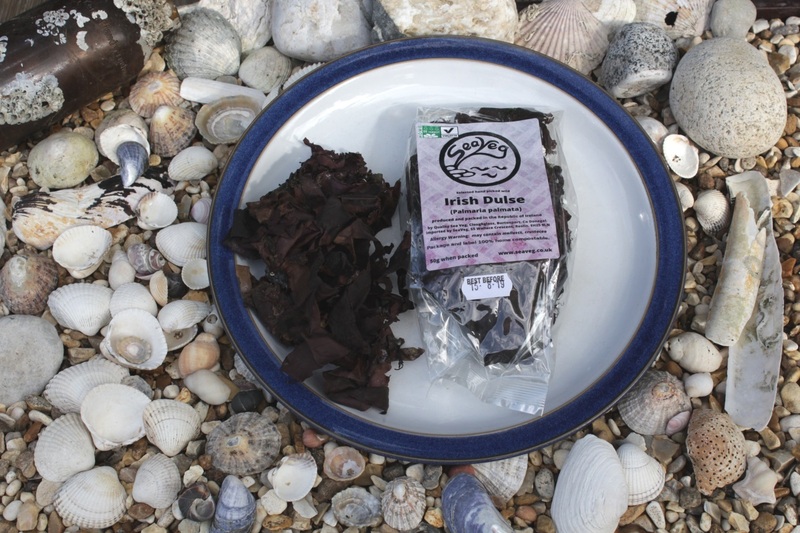 Our Seaveg Wild Irish Dulse is supplied in compostable 50g Cellusole bags, or 240g poly catering packs. Now also available in flakes, in 25g compostable cellulose bags, or 240g poly catering packs. Dulse has always been one of the most popular sea vegetables. 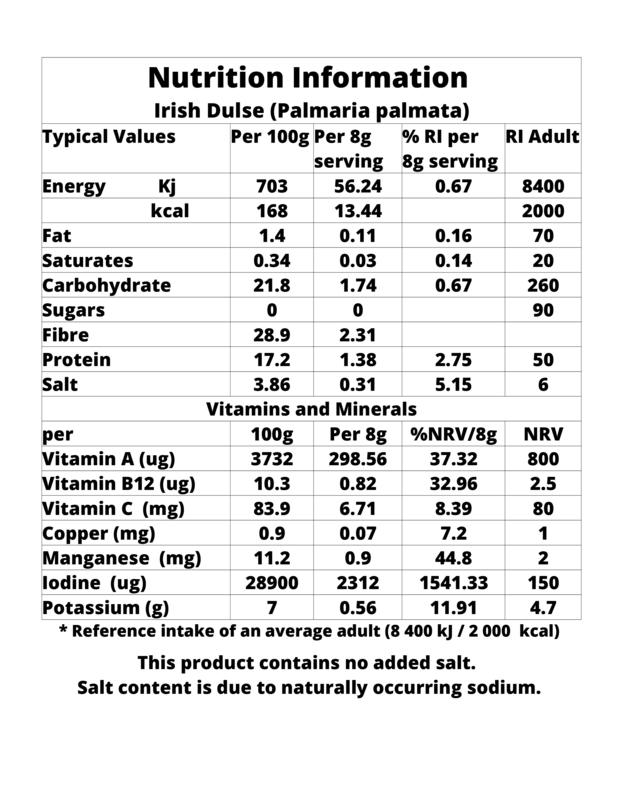 There are numerous unregistered health claims made about dulse which are attributed to its wealth of available minerals which include notably Iodine, Potassium, Manganese, and Iron, and vitamins which include Vitamin A, and Vitamin B12 in significant amounts and others in much smaller quantities. Our dulse is sold for culinary use, and it should be picked over before use to remove any holdfasts.